Wow!! 3 wins in a row!! @AustinTheriault is only 1 of 9 drivers in the 65 year history of @ARCA_Racing to win on all types of tracks. ...Theriault led the first 136 laps before Tom Hessert beat Theriault off pit road to wrest the lead away from him. 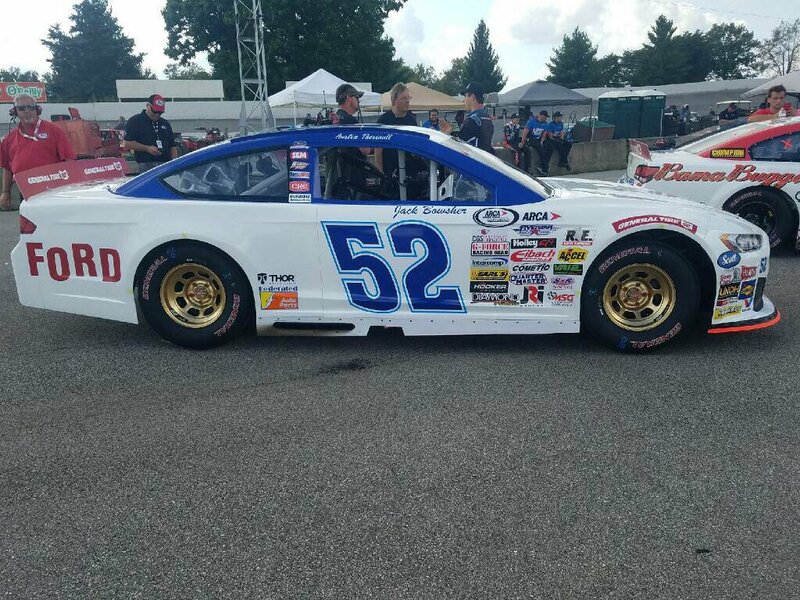 ...With Bangor’s Cross Insurance serving at the primary sponsor on his Ken Schrader Racing Ford, Fort Kent’s Austin Theriault survived a wild finish in the Crosley Brands 150 to capture his series-leading seventh win in the ARCA Series on Friday night at Kentucky Speedway. Fort Kent's Austin Theriault is in Kansas preparing for the final ARCA race of the season tomorrow night. Theriault is all but guaranteed the points Championship. He has a 400 point lead heading into Kansas.Earlier this week I had the opportunity to Skype with Theriault and to get pictures of the Ken Schader Racing shop. He says the team is looking forward to another successful race. Our hard work and dedication paid off last night. It was a pleasure to work with so many awesome people that I will call friends forever. Indianapolis will be buzzing this week with the arrival of the Performance Racing Industry (PRI) Show at the Indiana Convention Center downtown from December 7-9. For Fort Kent’s Austin Theriault it will mark the one-year anniversary of the conversation he had with Ken Schrader at the 2016 PRI Show which lead to him launching an all-out attack on the 2017 ARCA Championship. That meeting at the PRI Show was followed by discussions with Ken and Ann Schrader which resulted in a full-time ride with Ken Schrader Racing (KSR). This became the first time Theriault was able to put together a serious quest for a points championship in a long time. Theriualt and his KSR team mates will be honored as the 2017 ARCA Series Champions. This will be the first time that any Maine native has won a major national stock car racing title. Cherryfield’s, Andy Santerre won four consecutive Busch North titles, 2002-2005, which was more of a regional series. INDIANAPOLIS — Austin Theriault of Fort Kent and Ken Schrader were the big winners during the ARCA national championship awards ceremony held recently at the Indiana Convention Center in downtown Indianapolis. ARCA President Ron Drager presented Theriault and champion car owner Schrader with the traditional championship gold rings and a signed, congratulatory letter from Maine Gov. Paul LePage. Menards Merchant Coach Jim Johnson capped the evening off with the official presentation of championship trophies and checks. 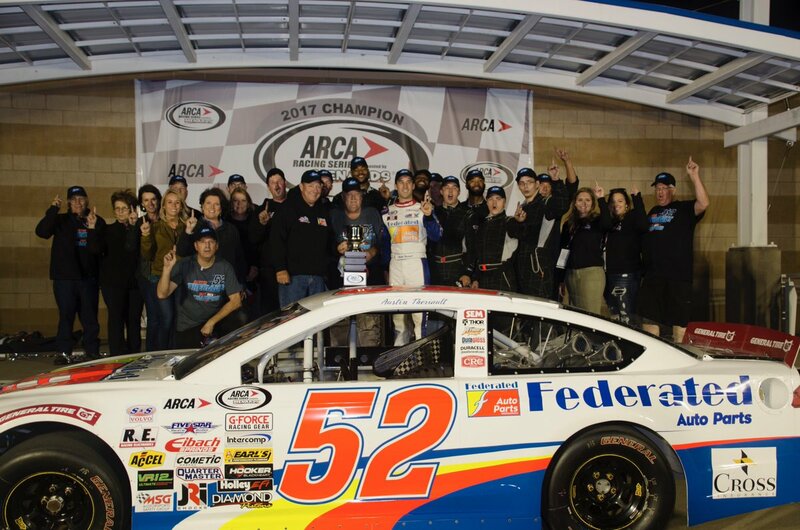 “It’s a great honor to be the ARCA champion,” said Theriault, the first ARCA champion from Maine.